What about the developing brain? 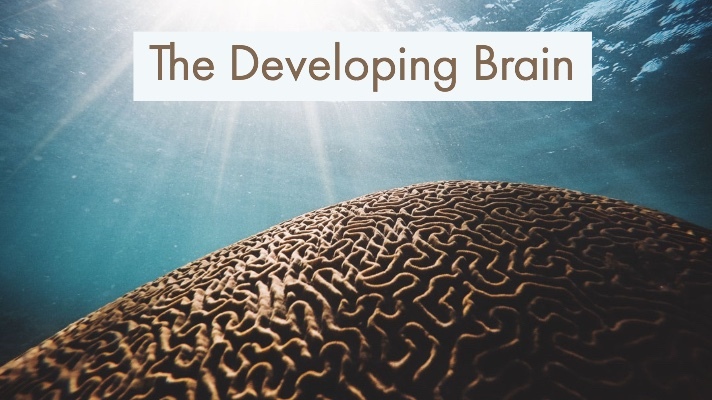 This look at the developing brain is the fourth part of a series we have titled “Concepts and Skills of Parenting.” It is adapted from the book Healing Parents: Helping Wounded Children Learn to Trust and Love. To read Part 1 — which provides a look at secure attachment at the start of life — click here. Part 2 explores the core concepts of child development. Part 3 examines the importance of trust and reciprocityin the formation of secure attachment. Scientists have learned more about the brain in the last decade than in all of history. Advanced technology has given us amazing insights into the brain’s inner workings. The human brain is the most complex structure known: 20 billion neurons, 2 million miles of neuronal fibers, 100 billion cells, trillions of connections (Kutulak 1996). The old concept that the brain was a self-contained, hardwired machine that was unchangeable after childhood has been thoroughly debunked. We now realize our brains continually develop new connections, and that experiences actually change our brain’s chemistry, structure and genetic expression throughout life. However, it is our experience with forming relationships in the first few years of life that are most important to shaping the brain’s development and behavior. 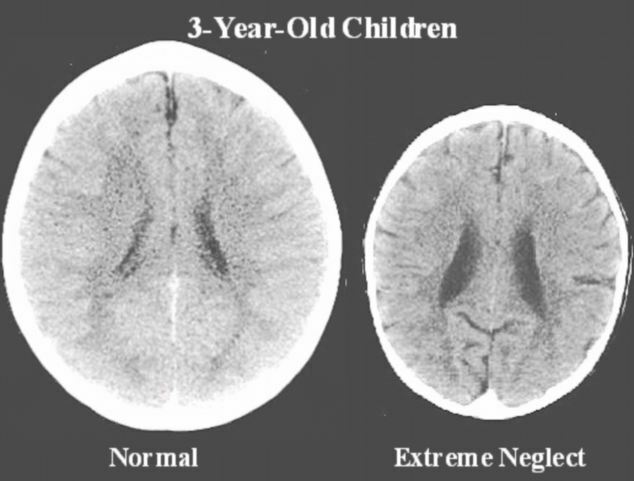 This is because a child’s brain grows at the quickest rate during the first three years of life. It reaches 75 percent of its adult size by the third or fourth year (and it is fully developed around the age of 25). There has been an ongoing debate — commonly known as “nature versus nurture” — about the influence of genetics or environment on a child’s development. We now know this is not an either-or question. Development is a result of both nature (biology and genetics) and nurture (experience and environment). Nature supplies the blueprint or potential, and nurture is the architect that determines the final result. This partnership in your genes and your environment is at the core of who you become. A child’s environment consists primarily of close emotional relationships — and these attachments are the most important social factor affecting the developing brain. The social world of the child during the first 45 months (9 months in the womb, three years after birth) actually determines how the brain and mind are formed and how well they work. The human brain is composed of three distinct but intersecting areas — brain stem, limbic system and neocortex — a triune brain. The brain stem is the most primitive part, and it controls basic states of arousal, alertness and physiology (think heart rate, breathing, body temperature). The limbic system is the center of emotion, social behavior and attachment. It regulates emotion, memory, motivation and stress. The neocortex is in charge of complex information-processing functions, such as abstract thinking; reasoning and awareness; and the ability to observe our own thoughts, feelings and actions (MacLean 1990). These three parts of the brain continually exchange information. Under conditions of threat and heightened emotion, the limbic system takes control it the automatic reactions of self-preservation, commonly known as “fight-flight-freeze” response. When feeling secure, safe and calm, logic and reasoning are switched on by the neo-cortex. Thus, children who feel frightened and insecure because of the absence of nurturing and protective caregivers are less apt to use logic and more likely to remain in their limbic brains — emotionally aroused, highly anxious and reacting on the basis of self-preservation. Children learn best when they feel calm, safe and nurtured. When attachment is disrupted, a child’s brain is more focused on self-preservation and survival and less on being inquisitive and learning. The limbic system plays a pivotal role in the emergence of attachment and is most altered by the stress of compromised and insecure attachment. To better understand this, it is necessary to know the difference between a closed-loop and open-loop system. The former regulates itself with no help from the outside world. For example, our circulatory system is a closed loop; our blood continues to flow inside our body regardless of how others behave. The human brain — especially the the emotional limbic system — is an open-loop system. It relies on attuned and caring input from attachment figures for healthy growth and functioning. How children and caregivers interact directly affects the child’s brain formation and operation. Most affected by this relationship are parts of the brain that regulate self-control, the release of stress hormones and the way genes are expressed. It is common for children with histories of abuse and neglect to have elevated stress hormone levels and problems with self-control. They are often impulsive, inflexible and have temper tantrums. Inherited tendencies, such as mental illness, alcoholism and hyperactivity are more likely to emerge without the buffer of secure attachment. So a child’s ability to self-regulate — which we’ll discuss in the next part of this series — is very important. This article was written by Dr. Levy. Terry Levy also has written about the interplay among attachment, trauma and the developing brain.